Showbiz journo Ed Dyson catches up with Bianca del Rio to chat about the possibility of a UK version of RuPaul’s Drag Race! When we heard that UK cabaret queen Charlie Hides was set to appear on the next series of RuPaul’s Drag Race, we were giddy with excitement. Finally, a British queen we had all seen in the flesh had made it on to the groundbreaking show. Okay, fact fans, we know Charlie’s actually from Boston, but as she lives in London we’re going to claim the beauty as one of our own! Okay? But now we have a ‘Brit’ in the show, could this lead Logo producers to finally think about launching that UK Drag Race we’ve all been waiting for? It’s long been rumoured that a series was in the works, but nothing’s emerged just yet! Instead, all we’ve been served up was Drag Queens of London, which – quite franky – was more Drag Queens On Benefit Street than Drag Race. But it looks like we might be in for a very long wait, as one Drag Race Alumni says she thinks it’s unlikely that we will EVER get to see an official spin off on our shores. 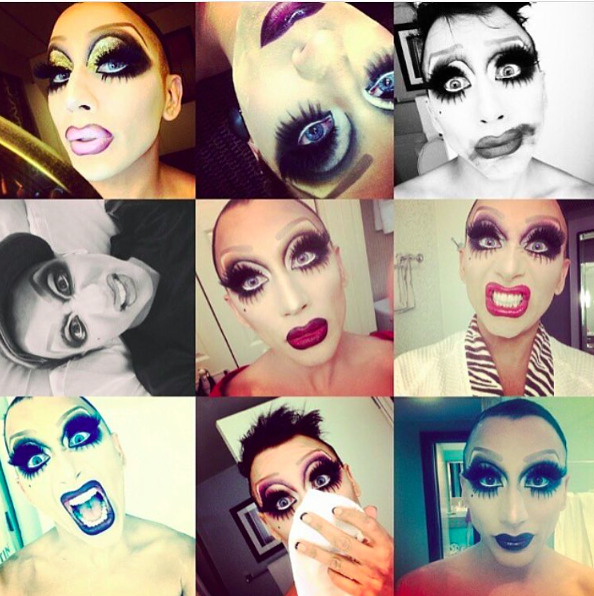 This week, friend of GuysLikeU.com Ed Dyson caught up with season six winner Bianca Del Rio to chat about the possibility of a UK show. Bianca, do you think we’re ever going to get a British Drag Race over here in the UK? There’s huge Drag Race fans here in the UK, which I think would make for a brilliant opportunity. I just don’t know if the particular company that makes Drag Race would have the time to do a production over here as well, because it’s pretty intense – the schedule that they have. With Drag Race itself, World of Wonder, who creates the show, and lots of other great televisions shows, takes a good nine month process, and we film it relatively quickly, but the editing, and the putting it together takes quite some time, so there’s quite a lot of space between when it films and when it airs. But we’ve got so many queens over here it’d be such an amazing show. I would hope that you would get a chance to do it over here, because there’s a lot of great talent in the UK that doesn’t necessarily get the chance to audition for the show. But then you wouldn’t want to do it without RuPaul himself, so fingers crossed. We finally have a British queen on Drag Race though, Charlie Hides, have you seen the new trailer? I did see the trailer last week as I was filming something else for World of Wonder that I’m not allowed to speak about it. Occasionally when I’m home in LA I get a chance to do some film work for them, so that was a little moment, it’ll be coming up soon, you’ll see it. I’ve known Charlie for quite some time. I think that’s brilliant that she’s doing the show. Charlie’s American but lives in London, right, is that how that works? I when I met Charlie I was shocked as she could actually speak regular English! But I don’t know how the rules work if you live in another country, I’m not exactly sure. 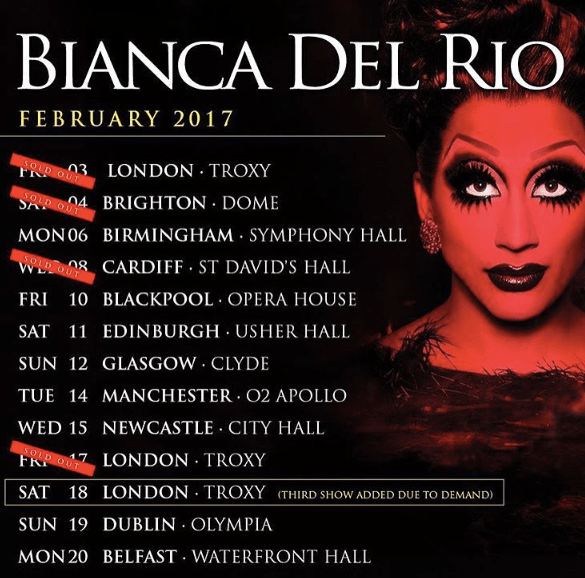 Bianca is currently touring the U.K with her Not Today Satan show, and will play London on the 18th. Previous ArticleSimon Dunn's secret is finally out!